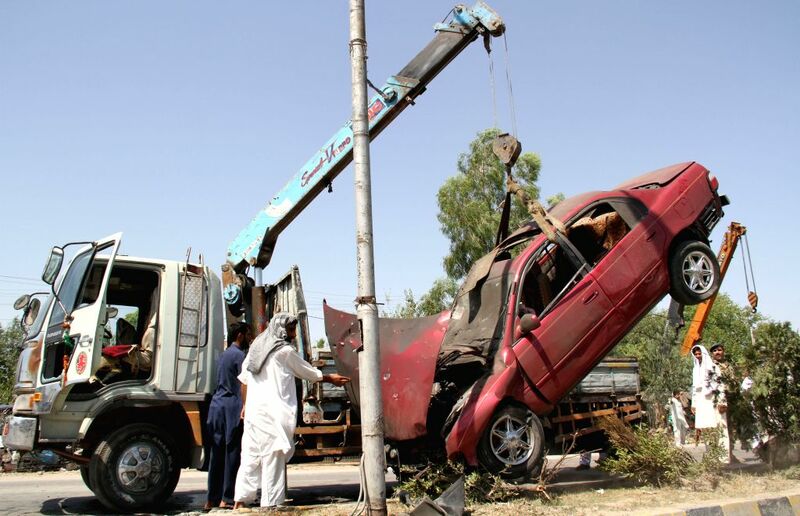 JALALABAD, July 12, 2014 - A destroyed vehicle is moved from the blast site in Jalalabad, capital of east Afghanistan's Nangarhar Province, July 12, 2014. 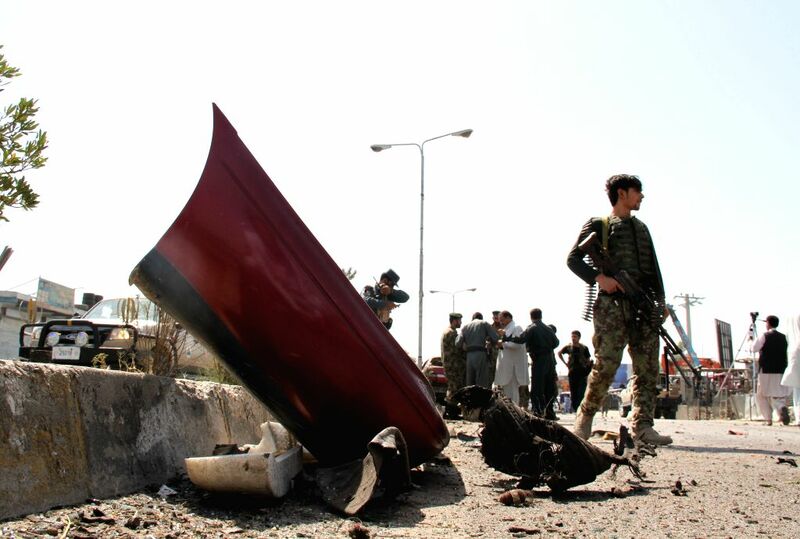 Two civilians were killed and another was wounded when a roadside bomb struck a vehicle in Jalalabad on Saturday. Security force members inspect the blast site in Jalalabad, capital of east Afghanistan's Nangarhar Province, July 12, 2014.